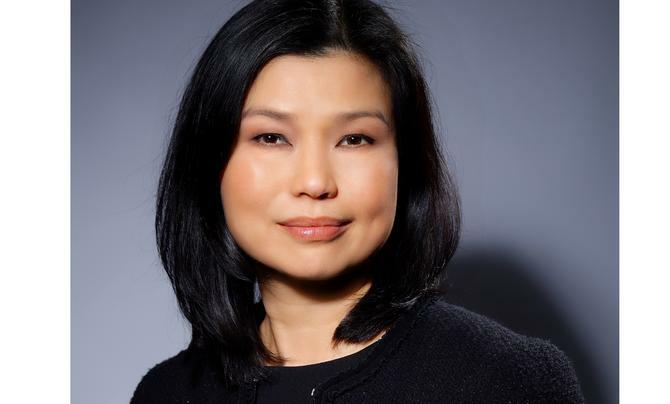 “I don’t think there are two CMOs that hold the same role across organisations, or even within the same company over a given period of time,” Schneider Electric global CMO, Chris Leong, tells CMO. “Your company goes through different missions at any particular point in time. I believe I’m writing different chapters in my role. Even if I have a five-year transformation order, I would populate things differently and move the yard stick at different speeds. Six years with Schneider Electric has certainly taught Leong the importance of constant evolution. An experienced marketer, Leong was recognised as one of Forbes’ most influential CMOs globally for her work transforming the B2B giant from energy management products vendor with poor brand visibility and a perspective of marketing to match, to a solutions provider that leads with customers and views marketing as a competitive advantage. It’s a big ask. The 180-year old company, which has its roots in electrical distribution, launched an aggressive acquisition strategy about 10 years ago, purchasing several software companies in the cybersecurity and IT management space. This roughly doubled annual revenues to nearly US$25 billion over eight years and saw headcount rise to more than 143,000 employees. Today, Schneider Electric is at the forefront of another game-changing technology: The industrial Internet of Things (IoT). This digital-led transformation and convergence of energy management with automation and connectivity is set to completely shake-up the industry. “To date, the whole Internet buzz has largely been about the B2C side: Facebook, Google, search and so on. Now, in B2B, we’re seeing the rise of product-to-product, product-to-system, product-to-cloud and machine-to-machine connectability,” Leong says. The combination of expanded industry footprint with technology revolution raises plenty of complexity for Schneider’s marketing chief. Firstly, energy projects are often specified by consulting engineers and specifiers, who aren’t buying products directly. “We need to initially market to them about the latest and greatest, the impact of IOT,” Leong says. “In addition, a lot of our products, once installed, can last 30 years. IoT, however, is on our doorstep now. To achieve this, Leong is working to ensure the brand’s approach is holistic and end-to-end by introducing customer journeys to guide everything the business does. “From markets where we need to increase our marketshare, all the way from discovery via search engine and optimisation, to where we are present, this is our approach,” she says. Of course, the job of marketing is still to articulate a relevant and compelling value proposition, Leong says. It’s this quest that saw her clarify Schneider’s brand positioning two-and-a-half years ago under the three-word phrase, ‘Life is on’. “What’s marketing? Step one, it’s clarity of the brand through storytelling, and by bringing all these elements to the forefront,” she says. “We are the world’s biggest invisible brand. How do we come out to the playground? Leong then coined the term ‘brand business campaign’ internally to articulate the way the brand story ties into the business proposition. Uniting the Schneider brand to the promise of IoT is an extension of this value proposition. “When you’re in industrial automation, buildings, real estate, factories, data centres, mining and plants, IoT starts with great things, whether it’s a great breaker, power lines, or things that make other things flow,” Leong says. From a marketing perspective, this means conveying a message of vertical and horizontal integration that allows customers to do their jobs more effectively, Leong says. Yet many end organisations have business and energy management still running in silos. “So how do we tell that story when the market doesn’t even have it in place yet? We need to create a new category and say now, as an end user, you’re able to capitalise on that because we have a common platform that can do that for you,” Leong says. It’s by putting customer stories front and centre that Schneider can achieve this, Leong believes. A key channel is its Web portal, which receives 100 million visits annually. In recent years, the team has worked to upgrade this owned channel to better meet customer needs, using Amazon as its best-in-class example. Helping inform these efforts are more than 4000 pieces of online customer feedback collected per month. Schneider has also implemented a brand tracking tool that crawls 250 million social accounts and media clippings daily to provide insight on how the brand is performing against competitors, its share of voice per country, Net Promoter Score, and customer sentiment.